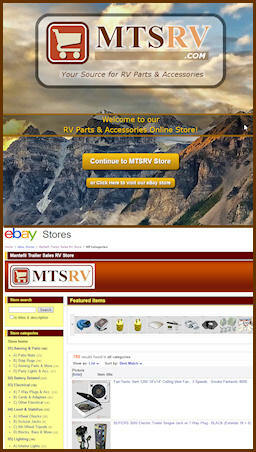 To make our customer's RV shopping and service experience fun, comfortable, memorable and affordable. Through camping and travel, promoting healthy relationships with friends and family by experiencing all the beauty of our great country. To maintain integrity with fairness and respect. To promote our industry with enthusiasm and positivity. To encourage our team to use empathy and cooperation in order to make our customers feel comfortable with the trust and confidence they give us. 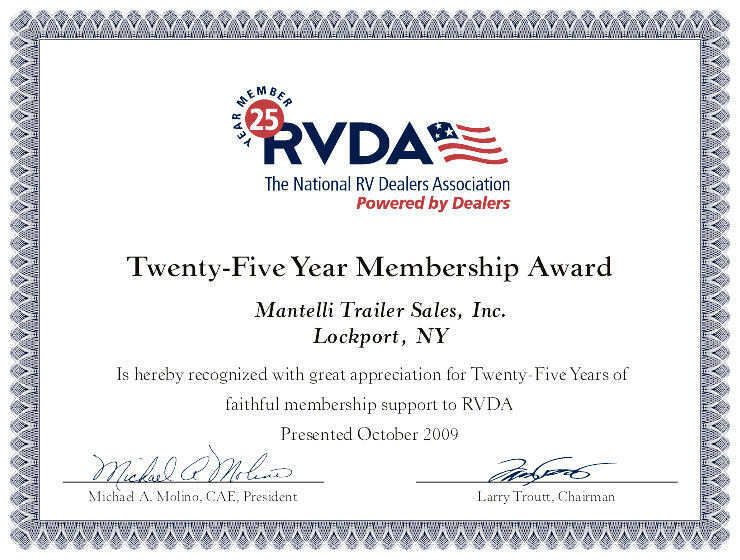 Mantelli Trailer Sales, Inc. was founded by Albert and Shirley Mantelli in 1965. It is currently owned and operated by their daughter and son-in-law, Kim & Mark. The dealership is located in Lockport, New York which is in the western region of the state, near Buffalo and Niagara Falls. 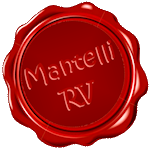 Throughout the years, Mantelli's has expanded in size and now would be consider a mid-size RV dealership. Over those years, Mantelli's has sold every type of RV manufactured today, but now focuses mainly on towables. Since 1965 the main goals of the dealership have been to introduce the RV lifestyle to our customers and above all obtain the highest customer satisfaction possible. 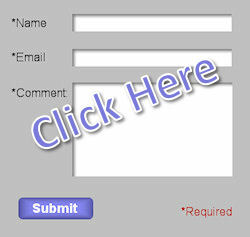 The dealership, along with the entire staff, understands that without our customers we would not exist. We do not claim that the products that we sell are always without flaws, but we'll stand behind them and do the best that we can to satisfy all our customers needs. 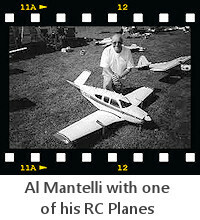 Founder & Owner of Mantelli Trailer Sales, Inc.